For those eagerly awaiting a slimmer, lighter Xbox 360, the news from Microsoft is ‘not in this decade’, with the Redmond company insisting persistent rumours about a new version of the console are wide of the mark. "While we don't normally comment on rumors like this, we can tell you that we have no plans to release a new console in 2009," Microsoft US told Engadget. 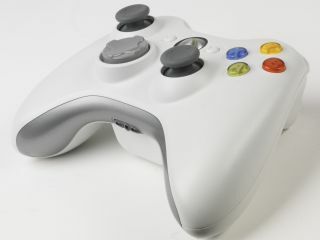 Although it would be in the company’s best interests for people to think that they should be buying the current version rather than waiting for an Xbox 360 ‘Lite’, the company does, as a rule, avoid commenting on hardware rumour. Their decision to quash the speculation that 2009 would see a smaller version of the popular console is, therefore, probably indicative there actually won’t be. So, for all the minimalists out there, it may be better if you stick to your Wii and Mac for the time being, but for gamers who aren’t too worried about having a box under their televisions then the current Xbox 360 (probably with smaller chips) will be competing with the PS3 for a little while longer.